Why are Atlanta Real Estate Listing Commissions so High? Most Atlanta Real Estate Agents will debunk some of the comments I’m going to make regarding Real Estate Listing Commissions, but for me it’s just a matter of time before they come to their senses. Let’s start with Atlanta Real Estate Listing commissions. 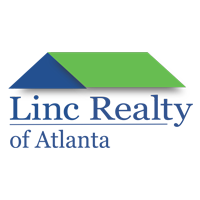 In Atlanta, a listing agent may charge a listing commission of 3.00% of the contracted sales price to list and sell your home. But, I would consider a 3.00% listing commission quite a high price for services rendered. Most people understand the general concept of the selling process, but do they really? Let’s Examine!! Where do buyer’s find Homes? Answer: The Internet!! Most purchasers (approximately 95%) begin their home search online (shocker, I know). When an Atlanta Listing Agent places your home in the MLS system(s), all other Real Estate websites pull this information from the IDX Feed sent out by the these system(s) or through a REN. 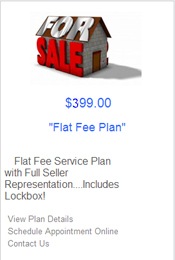 (Real Estate Network which is free for Real Estate Agents to Join!) In Atlanta, there are two MLS systems; The GAMLS (Georgia Multiple Listing Service) and the FMLS (First Multiple Listing Service). Basically, your home is listed on about 10,000 websites (In the Atlanta Area) as soon as the agent places your home in the GAMLS and FMLS. It’s just not rocket science. 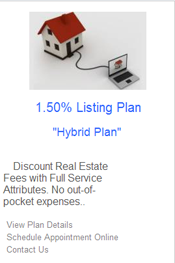 I believe Zillow.com is an exception to this rule, but that’s OK, we list with them as well. Now, I’m definitely not suggesting this is the only marketing mechanism needed to sell your Atlanta Home, but I can guarantee it is one of the most important. This entry was posted in Atlanta Real Estate Listing Commissions, Flat Fee and Discount Real Estate Atlanta and tagged Atlanta, Broker, Commissions, Flat Fee, Flat Fee Broker, List you Home, Listings, Real Estate, Reduced Commissions, Sell for Less on 09/16/2013 by Mark Tidwell.